Sixty-Fiver's Phillips 20. Lots of mods. Derailleur gears, drop handlebars, carry racks for panniers, and by all accounts a brilliant little commuter and tourer. Freewheeler's modified Raleigh Twenty. 5-sped Sturmey-Archer hub, cotterless crankset with Shimano Biopace chainring. 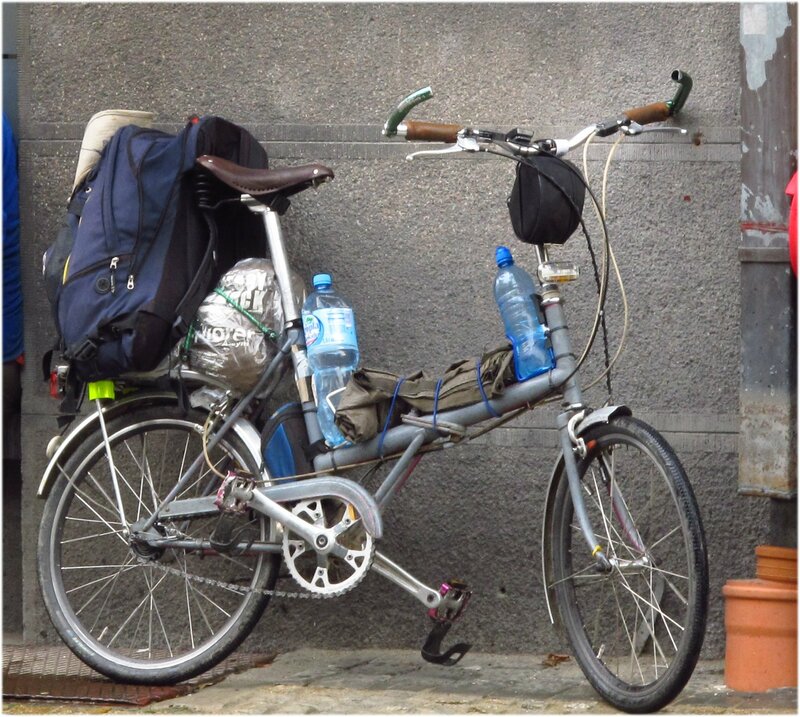 What is impressive, is that the original rear rack is being used. A nice little tourer this one! Pedler's 3-wheeler - a Tricycle Twenty! I have never seen any other tricycle modifications, but if you can find a good kit, it might be worth trying.